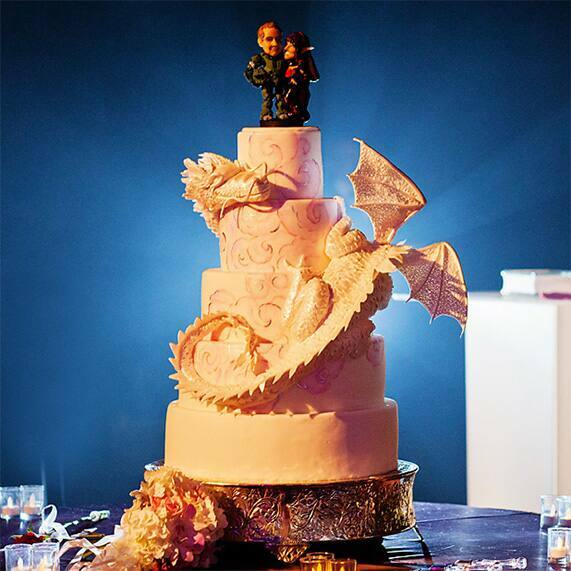 Fantasy lovers Belle and Scott took sci-fi mania to the next level (or should I say dimension) for their big day- and it's definitely something Wedding Cake Wednesday has never seen before. 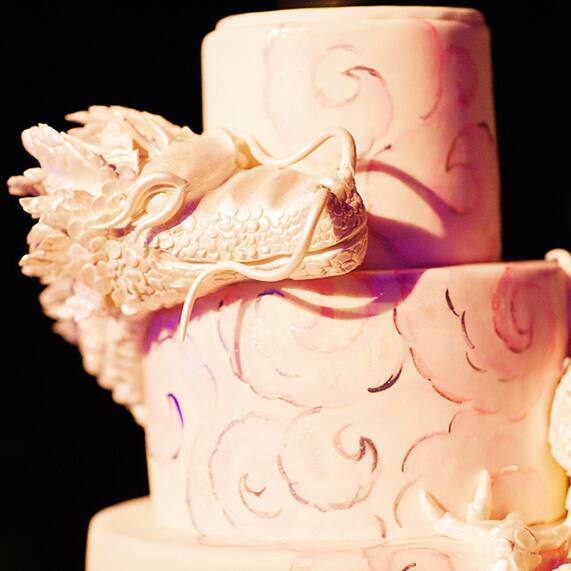 A life-like dragon, complete with wings and scales, encircled this five-tier Disneyland cake. Adorned with a custom cake topper of the newlyweds and embossed throughout with metallic designs, it was easily the focal point of the reception. To see Belle and Scott's entire Stage 17 wedding reception, be sure to check out their Real Couple Spotlight feature.